13 To cure any humor or green wound. Take the Skin that is on a colt when he is first foulded take it and Spred it on a Table and to Ivy it and keep it for give. To cure the [illegible] head. Take [bleu glofs?] and burrige agoog Quantity and Distill it and put in into bottles will a Little [Saform?] 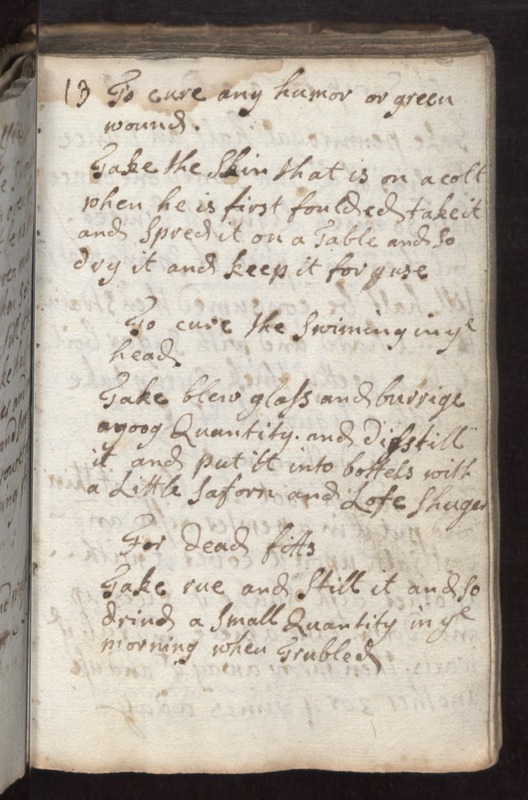 and Lofe Shuger For dead fitts Take rue and Still it and to dring a Small Quantity in ye morning when trubled.